Looks like Activision marketing sent out a mass email to a select few that asked if they wanted to participate in a Call of Duty survey. Charlie INTEL reader Ryan was nice enough to send us some screenshots when they first went out. 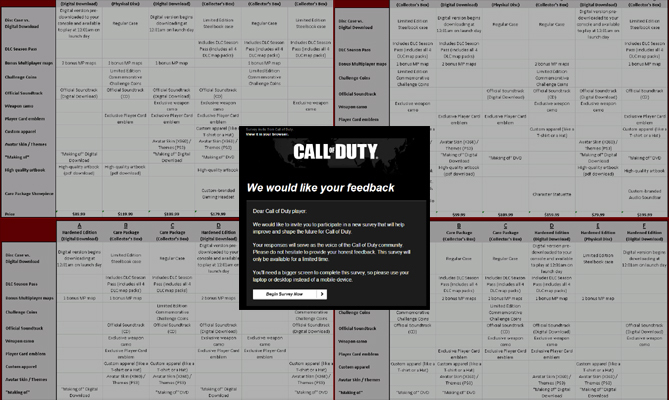 The survey offers SEVERAL clues as to what we could possibly expect this November if/when another Call of Duty is released. 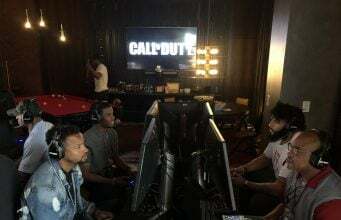 Some other hints as to what might be included in this year’s Care Package are also teased. “Operational desktop Sentry Gun replica” leads us to believe the next Call of Duty might be set in a modern era. We know Sentry Guns are featured in Black Ops 2 and could possibly even be used in a future setting so who knows.. Or it could also just be an example to describe that another RC Toy might be included in the next care package. What options do you guys want? let us know in the comments below! UPDATE: We’ve decided not to post the screenshots due to an NDA. Sorry guys..